As a retired Mercedes Benz, BMW, and VW dealer I already had a passion for the styling and design of older cars. Biondo Palm Beach and my collection is me Following My Dream and it's become my Obsession. I truly enjoy the RARE, FUNKY, RETRO, & FUN CLASSICS. 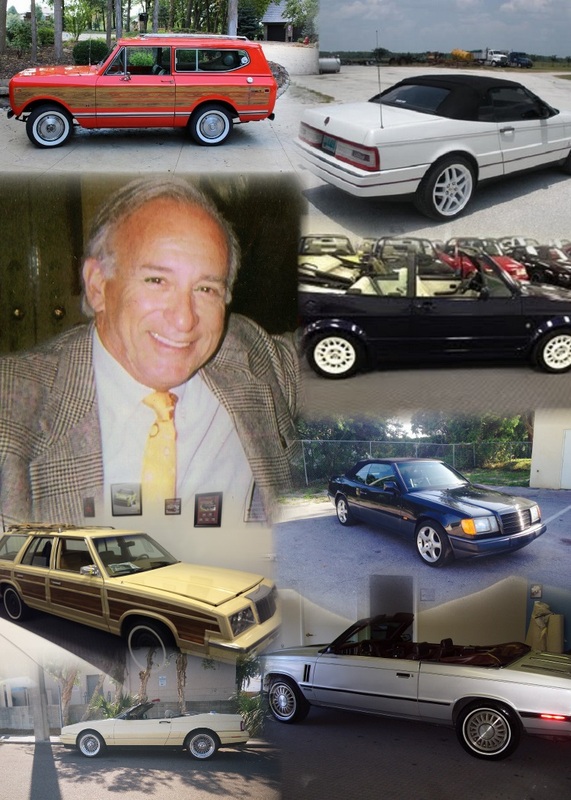 Contact BIONDO PALM BEACH today to follow your dream..
Cars are shown by Appointment Only . Call or email John Biondo today.